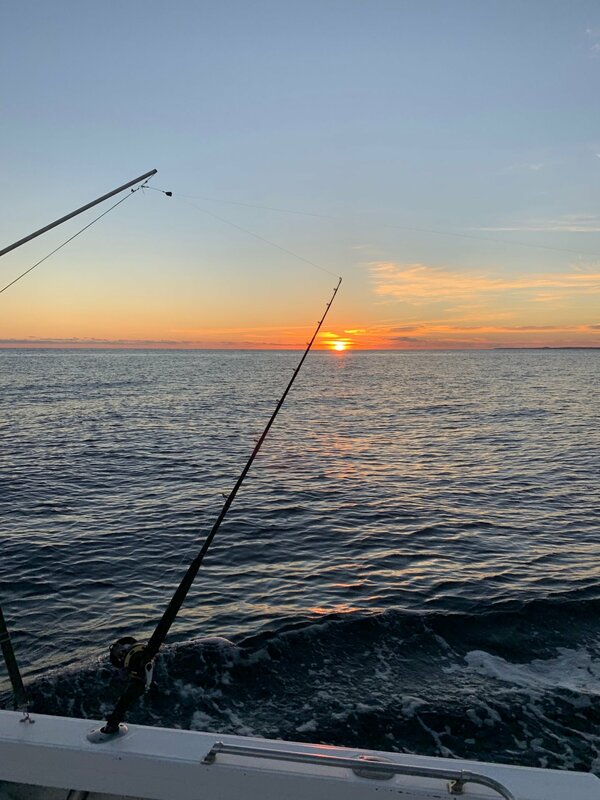 Discussion in 'Baja Mexico Fishing Reports and Discussion' started by doncatfish, Jan 16, 2019. Yes the relentless north winds are up, but the dorado are biting quite well right off the beach. Quick trip to LB, booked a 1/2 day panga with Chuy on the Rude Baby out of Palmas today. 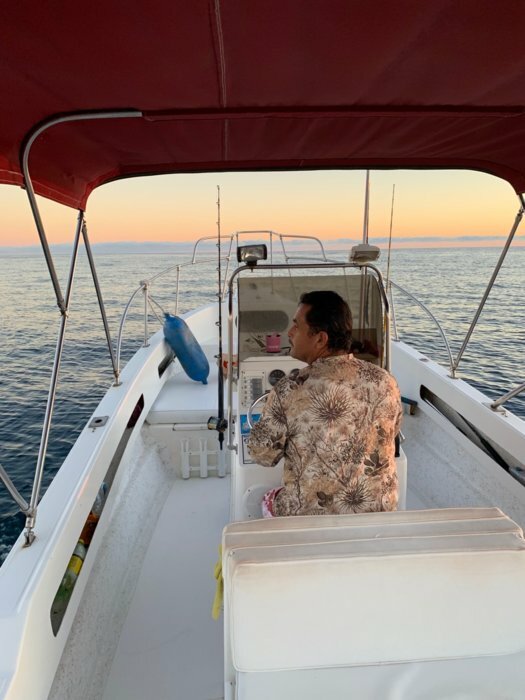 Bought 10 freshly caught ballyhoo for bait, and literally within one minute was fishing this morning as we motored away from Palmas. Tons of ladyfish splashing and cutting through the water near the boat moorings, but every once in a while there would be a boil of a larger fish. Multiple times hundreds of ballyhoo would jump in unison out of the water, the silvery sides looking like fireworks with dorado jumping completely out of the water chasing them. Frigates dropping on the ballyhoo in all the excitement, quite the Nat Geo moments today. We were trolling 2 dead ballyhoo, one cedar plug and one rapala. By 10:00 am we had caught 4 legit dorado, all caught on the dead ballyhoo within a mile of Palmas and no more than 1/4 mile off shore, so we decided to go offshore for marlin. Though the early morning was nice, now the wind was blowing at 15+ knots sustained and building. Super snotty, but quickly picked up another dorado offshore on the ballyhoo, couldn't get away from those pesky things. Small bonito were up and about, flying fish jumping all over the place as the offshore area a couple of miles off the beach was full of life. I noticed a mist in the air next to us, wondered if it was from the wind pushing off the swells, or was it a whale? Next thing I knew a humpback comes hurdling out of the water right next to us, I just about soiled my pants as it belly flopped with a massive splash. There were two of them, we made a hard turn away from the beasts. 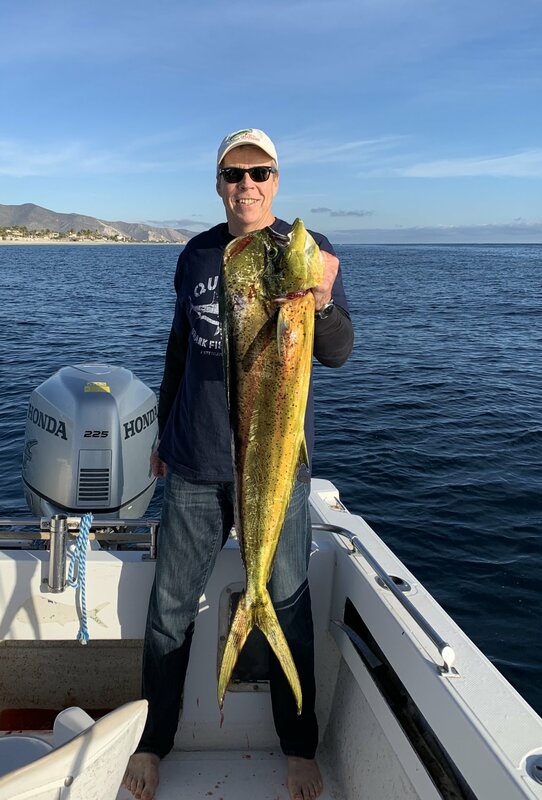 Back in the dock at 11:00 am at my request as we now had our dorado limits, GREAT day on the water, GREAT Captain, and a hell of a fish dinner at Triny's. georgegav, MinnesotaPhats, mulegemike and 5 others like this. Damn Don, that was pretty impuslive, glad you killed it. Wish I could have joined you for dinner! We need to get ourselves a local San Clemente bluefin Chuck, hope they stick around after the storms.